Our house includes seven rooms and it can host up to sixteen persons; every room has private entrance, private bathroom, air conditioning, minibar, 26'' LCD TV and free WI-FI Internet connection. 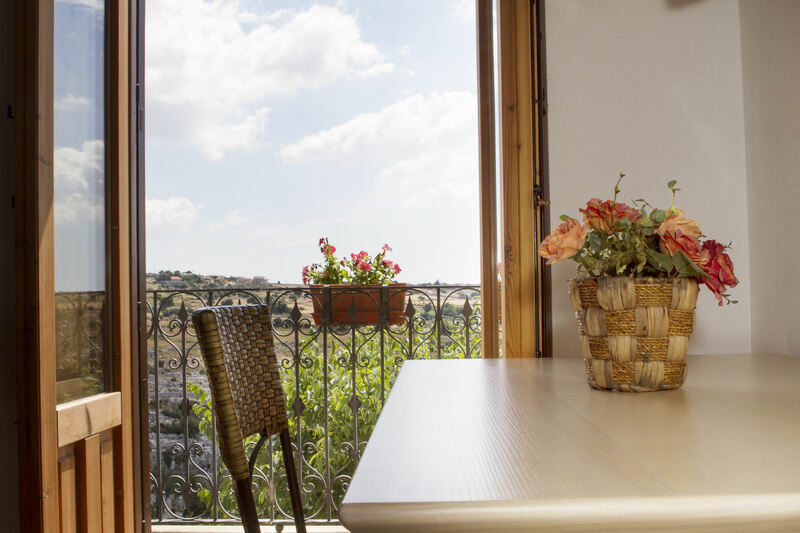 Most of the rooms are connected to the big terrace, from where you can enjoy a charming panoramic view over the cave. We have also availability (one room) for disabled persons.